She has been living in Georgian England for decades in her imagination and plans to continue in that vein till she lays hands on a time machine. She is the author of eight Austen-inspired novels and one of the contributors to the Quill Ink anthologies (The Darcy Monologues, Dangerous to Know and Rational Creatures). The Darcy Legacy which is, with a dash of paranormal, a nod towards a would-be-murder mystery. This is Joana’s longest book and most adventurous plot so far. Congratulations to all of you and thanks to everyone else for participating! Please let me start with a huge thank you, Rita, for the pleasure and honor of visiting you at All Things Jane Austen today. It’s a privilege to be here, and it’s such a joy to spend a large part of my time daydreaming about Jane Austen’s world and that of her characters. I love writing Austen-inspired what-ifs, and I love writing angst. Mr. Darcy’s angst, to be precise, as some of my readers know already. Many thanks again, Rita, for your kind invitation and wonderful welcome. I’d love to close by sharing some images from places that have inspired my stories. Your readers will recognize many of them, or perhaps they have already joined J.B. Grantham on her beautiful journey that led to Mr. Darcy’s Guide to Pemberley, but I thought we just can’t have enough of the places we love, that make us happy and feed our imagination. Thanks again, and here’s to our love of Jane! Thank you, Joana, for sharing with us your beautiful pictures and for the giveaway. You’re always welcome here! 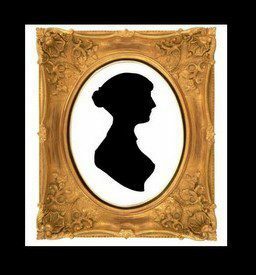 Well I am quite new to Jane Austen fan fiction, and totally new to Joanna Starnes’ novels, though I’ve heard her name mentioned in Austen-conversations. What intrigues me about The Darcy Legacy? Well, in general how can the idea of Darcy be spun into something more than what Jane did. It astonishes me how people take characters from a story and “breathe life” into them, on paper. Whether I win or not, I think I’ll give her books a try, regardless. The Darcy Legacy & The Subsequent Proposal sound very intriguing. Such good luck to all who enter this international giveaway! Please allow me to subscribe myself Yr. Obdnt. Srvnt. Hi, Diana, lovely to meet you! Best wishes and thanks for taking part in the giveaway. An interesting premise. I like a story that has Mr. Bennet step up and get involved in his daughters’ lives. Suzanne, you need to send your e-mail to allthingsja@gmail.com to participate so you can be notified if you are the winner. Thanks! I thought that after killing the poor man off in 3 variations out of 7, I owed him one where he featured more prominently as he took the trouble to guide his daughters and influence their lives. And it was such wicked fun to write Darcy caught in the crossfire between Elizabeth’s, Col Fitzwilliam’s and Mr Bennet’s wit! Thank you for participating, Michele! Good luck! Thanks for taking part in the giveaway, darcybennet, and for sharing it on Twitter. So glad you like the premise. Best of luck in the giveaway and I hope you’ll like the book when you get to read it. Thanks for tweeting about the giveaway, Diana! What intrigues me about this newest book? 1. Mr. Darcy is in it. Loved that, hansendawg, #1 Mr Darcy is in it :D. That’s always #1 for me too. Hope you’ll like the book. Thanks for stopping by to read the post and take part in the giveaway. I downloaded the eBook on release, but I’m so pleased it’s now in paperback. I don’t read eBooks unless I have to, and I have 6 of Joana’s other titles already in paperback, so this needs adding to the collection. I did laugh about your predilection for disposing of Mr Bennet, Joana, and allowing him to live in this one! Personally, I like stories with no Mrs Bennet in – she’s just too annoying for me – so it will be fun seeing how Mr B has to step up in her absence. LOL for once I had to let him live, Cass. He’s such a dear, for all his flaws as a parent, and I thought his relationship with Elizabeth deserved more than a footnote. I know what you mean about ‘no Mrs B’. She can be monumentally annoying, just like Wickham spoiling everyone’s fun when E & D were beginning to mend bridges at Pemberley. Thanks for stopping by to read and comment and hope the Legacy will give you a few giggles. This sounds amazing Joana! I’d love to read it so I really hope I win the giveaway! I’m sure I’ll read it sometime anyway. It’s such an intriguing premise. The photos are gorgeous too BTW. You have a real talent for photography! Thank *you* Elaine, for the kind words and for stopping by to read the post. I hope you’ll like the book. I had a great time writing it (although you wouldn’t think so, given the way it starts 😉 ). So glad you liked the photos too. I love those places! Best wishes and lots of inspiration! Her latest is testament that Joana Starnes can write anything. It’s a clever mix of paranormal meets Pride & Prejudice. Not to be missed. Speaking of something other than torturing Darcy, roll on October, can’t wait for the release of Rational Creatures! It was wonderful to be part of your dream-team again. I shared via facebookand twitter. I am intrigued to see Mr.Bennet as a single parent trying to marry off all his girls. Your variation sounds interesting to me. I just crocheted my soon to be great nephew a Pemberley Heirloom baby blanket. Many thanks for stopping by to read the post and take part in the giveaway, Marianne. I’m so glad the premise intrigues you. I hope you’ll like the book if you win. I find the idea of Mr. Bennet as a single parent trying to marry off 5 girls intriguing. I am interested to read it. I shared via facebook and twitter. thank you for the chance to win! Good luck to all! Many thanks for your interest and for sharing& tweeting about the giveaway, scrapnsew. So glad you like the premise. I hope you’ll like the book too. Best wishes and good luck! As I have enjoyed each and every one of your stories I do not doubt that I will love this one. Colonel Fitzwilliam’s comment intrigues me. I cannot wait to find out in what way the courtship will be fraught. Thank *you* for the share, Debbie! What intrigues me most? Well, the cover! Are those ancestors in the background? Who are they and what have they to do with the story? I posted a link to this on Facebook (as Tea Guide). Thank you for the generous giveaway offer, and looking forward to some good reading. So glad you liked the cover, Janis! Hope you’ll like to discover who they are and how they influence the story. Thanks for the lovely share and for stopping by! I am intrigued to know how Mr Bennet cope with the loss of his wife. Will he take a more active role in ensuring his daughters marry well or will he not take the trouble to find suitable matches for his girls? Thank you for sponsoring the prizes, Joana. Btw, I shared it on my Facebook page. Many thanks for sharing your thoughts. Such valid questions! Knowing Mr Bennet, he could go either way, couldn’t he? 😉 . I hope you’ll like his approach. Thanks for stopping by and for spreading the news about the giveaway! Winners will be disclosed soon! Stay tuned and sorry for the delay! PS. The winners just need to check their inbox and you will find an email from me telling you how to claim your prize! So if you did not send an email to allthingsja@gmail.com you did not participate in the drawing. Sorry! Those were the rules. Thank you and hope to see you next time! Thank you so much for choosing me as one of your winners. The email I received told me to get in touch with Joanne Sterns but not how to do so….please advise and thankyou again! I’m so excited….